With the NCAA Tournament well underway, it's safe to say I've been glued to my TV screen a little too much to actually get a lot of reading done over the past few days. 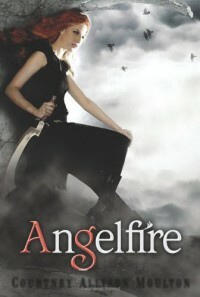 However, I did have the chance to pick up Angelfire, which I bought (along with its sequel, Wings of the Wicked) a couple of weeks ago. And all I have to say is:I've picked this book up and put it back down several times (once when I checked it out of the library, once when I downloaded it on my Nook), but the third time was the charm when I got it in paperback, since I seem to have more of a tolerance for books when a.) there's not a limit on how long I can keep them, and b.) they're in actual book form instead of words on a screen. Basically, Ellie is a fairly average girl who finds she has the extraordinary ability to control angelfire and kill demonic reapers preying on human souls. And there are angels and things of that nature. Of course I'm a sucker for anything with angels in it, so I had to read this.I will start off with what I didn't like about the book, pretty much the big thing that made me knock a star off: I didn't like how Ellie just *got* some of her memories back. And then she knew things. 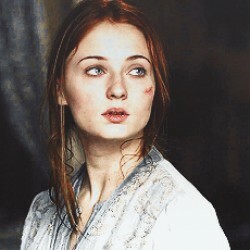 And she could fight. It seemed like sort of taking the easy way out, but I can understand why it was done to move the plot along. At around 450 pages, Angelfire is already a pretty big book, so a few chapters of Ellie learning all this stuff that she automatically remembered would have probably hurt more than helped. Still, just a little nitpicky thing with me. Probably not something that bothered anyone else.Ellie was a pretty cool girl. I love a heroine who can handle a sword, particularly Ellie, who has two. (I feel it appropriate to bring this gif back. )And yeah, there were times when she annoyed me. Sometimes I wanted more fighting and less teenage drama and Ellie worrying about her dress getting ruined (do we really have time for that when your life is on the line?) but overall, she was somebody I could sympathize with.Will is Ellie's Guardian, sworn to protect her, and he's someone who's been there for her for centuries, aching each time one of her incarnations dies. As something of an Ellie/Kate shipper, I didn't think I was going to like Will at first, but he surprised me by not being annoying! The whole I'm-your-biggest-fan-I'll-follow-you-until-you-love-me thing never works on me, so apparently it was not the fact that he was so entirely devoted to her for so long that won me over. Maybe it was his bluntness. It reminded me a bit of Castiel circa season 5.And they both like burgers!I really liked all the other characters, too, especially Nathaniel (I'm hoping we learn more about him in the next book but idk too much to ask maybe?) and I really liked the mythology and the world Moulton created. I'm pretty much in love with the mythology, actually; it, above all else, is what ensures that I'm going to crack open the sequel very soon. Tessa baby you're still my favorite reaper, though.